The morning after the great pageant in Tinos we pack our bags and drive into town to return our rental car. The rental agency is kind enough to store our luggage for the morning (the ferry is not due in until 12:40). We explore the Tinian archeological museum, which has a few interesting exhibits, but the morning goes rather slowly and we spend much time seeking cover from the meltemi winds. By the time the ferry arrives we are ready for a change … and the trip to Paros is a short one. The island has been inhabited since 3200 BCE and many artifacts from that time have been found in Saliagos, an islet situated between Paros and Antiparos. It is believed that the two islands used to form one single land. According to mythology, the first to dominate the island was Alkaios of Crete. He built a city situated where the actual capital of the island, Paroikia, now stands. 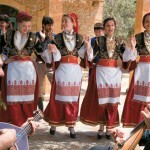 He colonized the island for its central position in the Cyclades and its fertile plains. At that time, Crete was trading with Egypt, Assyria and the Balkans, so the position of Paros was of great strategic importance. A naval station was built on the island and it was given the name of Minoa, which is a title of honor given only to royal Cretan cities. 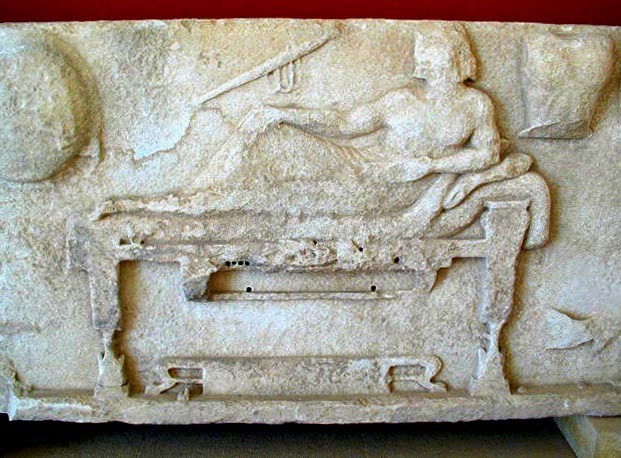 Later, around 1,000 BCE, the island was occupied by Arkadians led by Parios, who gave to the island its definitive name. In the 8th century BCE, Paros became a maritime power, started trading with the Phoenicians, and even created a colony on Thassos, a northern island rich in metal deposits. It was a flourishing period. Paros was the birthplace of many poets. The most famous was the lyrical and often satirical poet Archilochus who invented several poetical forms used in modern poetry. It is said that he once wrote a series of satirical poems that destroyed the reputation of a wealthy man who had prevented his daughter from marrying Archilochus. Sadly, only fragments of his poems survive. In those times, Paros was famous in all the Mediterranean for its high quality semi-transparent marble which has been used in many masterpieces as the Venus de Milo, the Temple of Apollo on Delos. In 338 BCE the Macedonians took control of Paros and, after the death of Alexander the Great, the island fell under the control of the Ptolemies and, successively, by Mithridates and the Romans. As the Roman Empire declined, the island was converted to Christianity and became part of the Byzantine Empire. Many churches, monasteries and chapels were built at these times on the island. 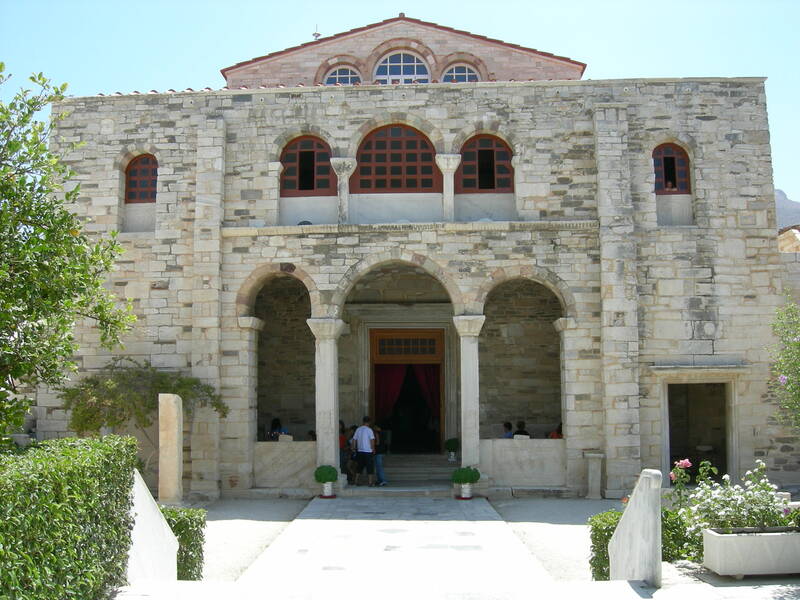 The most famous of them is the Church of Ekatontapiliani (which means “100 doors”) in Paroikia. It is said that the church was built by St.Helena, mother of Constantine the Great. It is considered the most important Byzantine monument in Greece. From 1207 to 1389, Paros became part of the Duchy of Aegean by the Venetian Marco Sanudo. 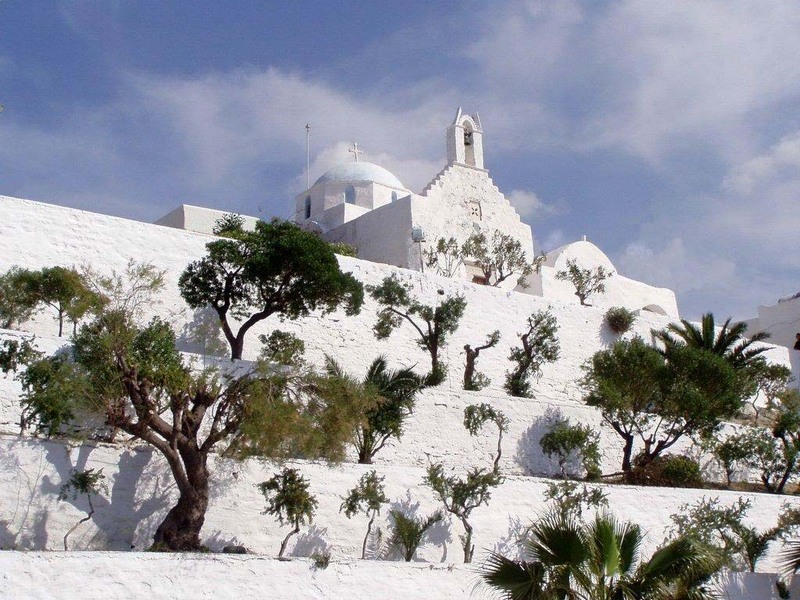 There are many examples of Venetian architecture on the island – most especially the castle (kastro) in the town of Paroikia. But even castles do not guarantee permanence. After the Venetians the island fell under Turkish rule. 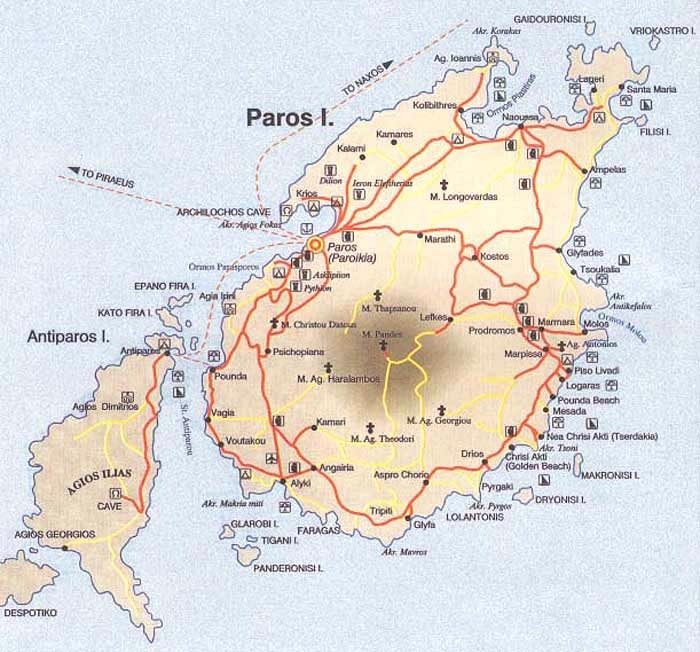 During the Independence War of 1821, Paros played a key role in naval actions against the Ottoman Empire. One of the most famous female captains is honored on Paros, where she lived after the war. More about our travels in the next installment.